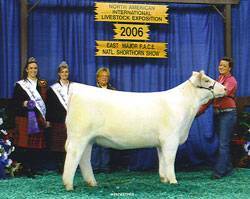 Absolut was hailed as the stoutest Shorthorn in the yards in Denver 2008! 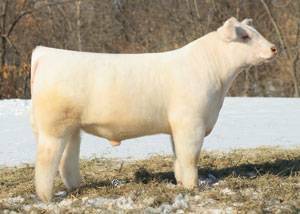 His Flush sister was Champion Senior Heifer Calf Champion at the 2006 NAILE, and went on to be named 2007 PACE All-American Senior Heifer Calf. Abslout has the soundess, frame size, and proven pedigree to be the sire of champions.